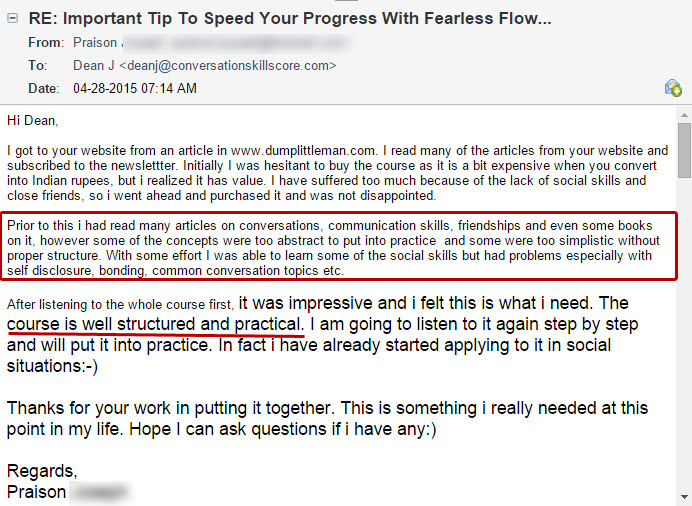 "FEARLESS FLOW CONVERSATION & CONFIDENCE SYSTEM"
In This Unique Training Program, I'll Share With You The Exercise-Based Strategy I Used To Overcome Shyness And Lock My Confidence To "Always On"
Without acting fake or becoming paralyzed with 100s of “social tricks.” Or needing to memorize ridiculous sounding scripts and conversation starters. And DEFINITELY without the vague, simplistic advice to "just be confident" or "just be yourself." Gives you evidence-based methods that turn-on a deep, lasting confidence, so you eliminate your self-doubt at the source. 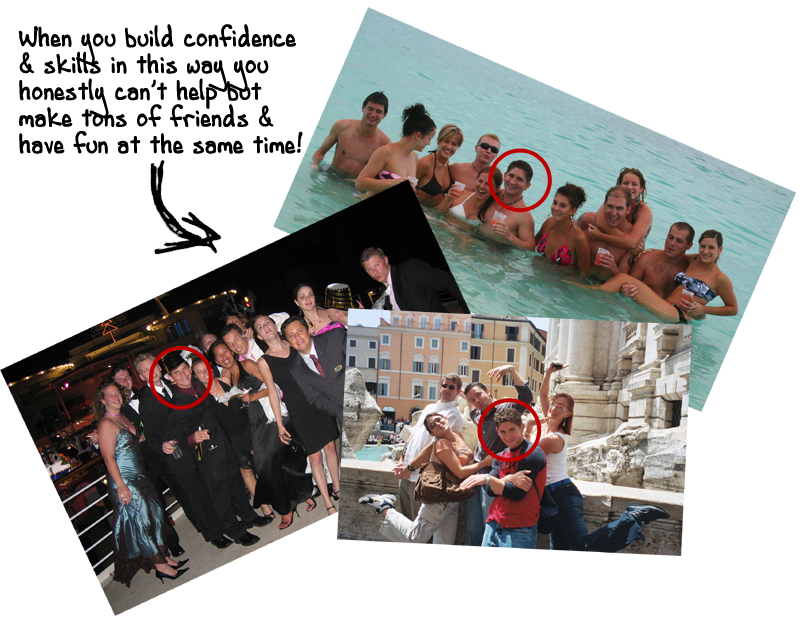 Shows you a step by step system to build a full social life of close, trustworthy friends you can be yourself around. Provides you with a strategy using simple exercises to explode your charisma without the overwhelm - no more fears of staying alone and powerless. If you're shy and have few friends, you'll see how simple it is to use these strategies. Even if you sometimes have trouble talking with and approaching people you already know. 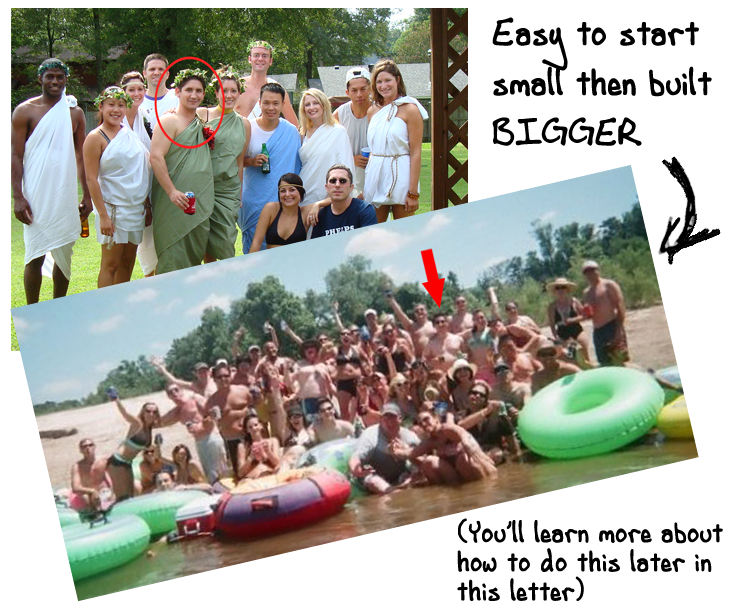 And if you have no friends, you'll learn how to start building a social circle from scratch. Or maybe you don't think of yourself as shy, you just don't know what to say at times? Or you feel you eventually bore people and they lose interest? These methods will quickly build the kind of charisma that lets you stand out and own the room. 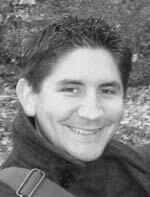 Hi, I'm Dean J the creator of Conversation Skills Core, where since 2011 I've helped people around the world transform from quiet, awkward and shy to more outgoing and confident. 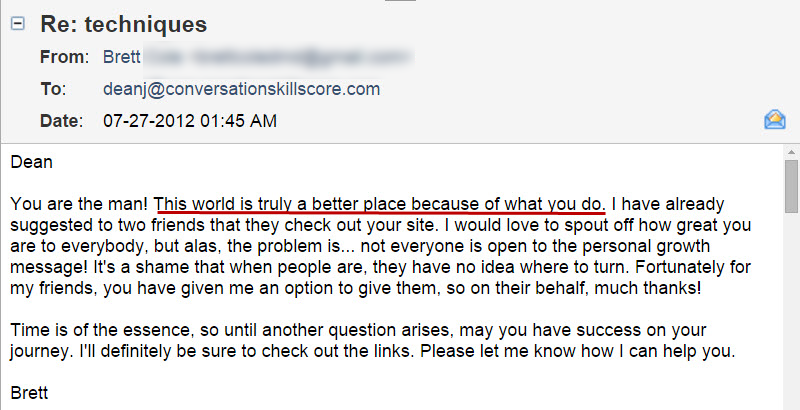 Thousands have come to my site for help with their social skills. And they've used my sometimes controversial style of changing myself from insecure to confident to do the same themselves. I've also been featured on some of the top personal development sites on the net like Dumb Little Man and Pick The Brain. 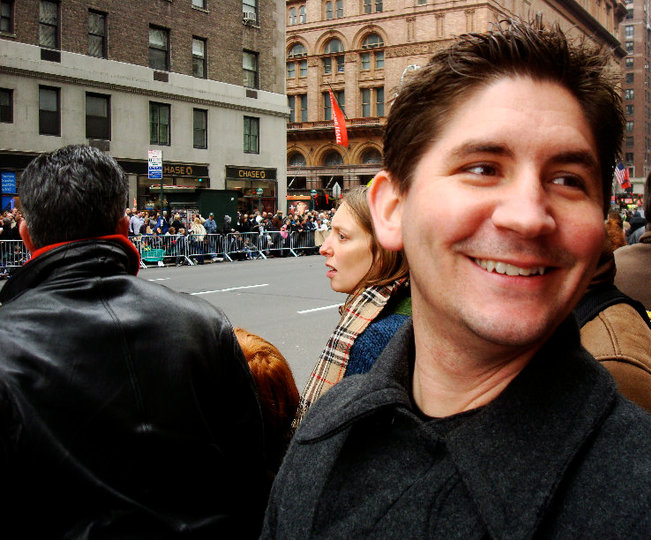 Becoming outgoing and charming is about more than social tricks. 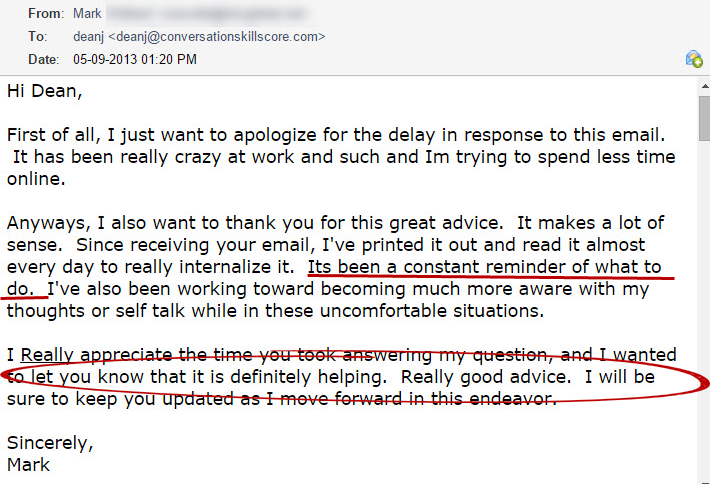 Destroying your social awkwardness is mainly about building genuine confidence in yourself. But mostly, it's about getting to the point of not caring so much what others think of you. Because that lack of neediness is a high value signal that will positively change the way people treat you for the rest of your life. 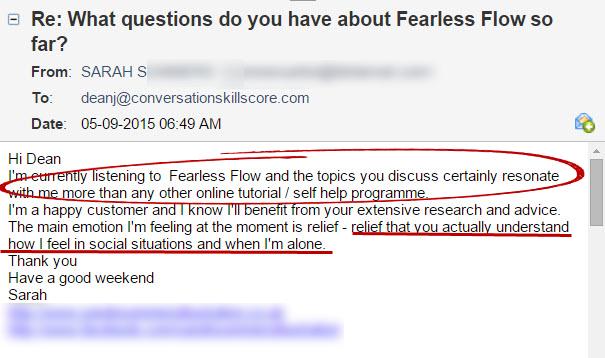 See, a BIG reason I created Fearless Flow is because, much of the common conversation advice out there holds people like us back. It doesn't take into account our social insecurities. It just assumes we're already confident. Or that we already know what to say and do. That's when I decided I needed to find BETTER advice. So I got serious with my research and testing. I dug up REAL research on shyness and social anxiety. From experts who explained the psychology behind why we draw blanks and don’t know what to say. If you could do the same type of thing in your life, what would that mean to you? Never worrying about not knowing what to say or boring people. Having the power to be fun and interesting socially whenever you want. 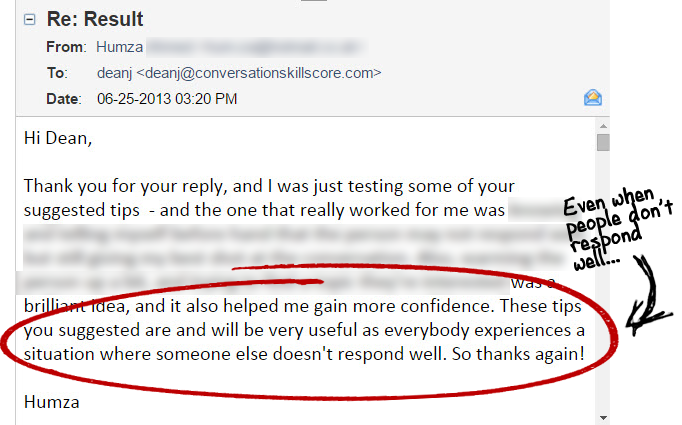 For me, better social skills and confidence changed my life for the better in ways I can't begin to describe. It truly is a game changer. Gaining TRUE confidence and social charisma is a specific process of thinking and acting differently. And when you do it, you'll blast away your limiting beliefs and replace them with the empowering beliefs of charismatic social naturals. ...based on a therapeutic treatment system proven effective by more objective and peer-reviewed studies than any self-help guesswork. 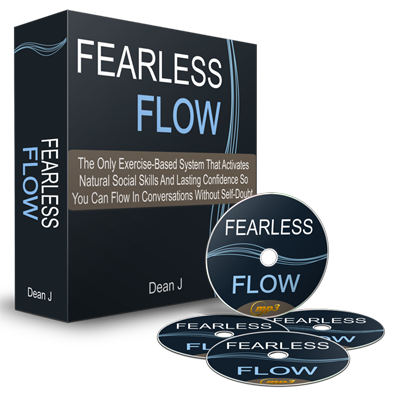 You see, one of the reasons I've waited so long to release the Fearless Flow system is because I wanted to develop the quickest, easiest way to deliver this kind of massive change in people's lives. And what I found is, knowledge is not enough. You need a strategic action plan. 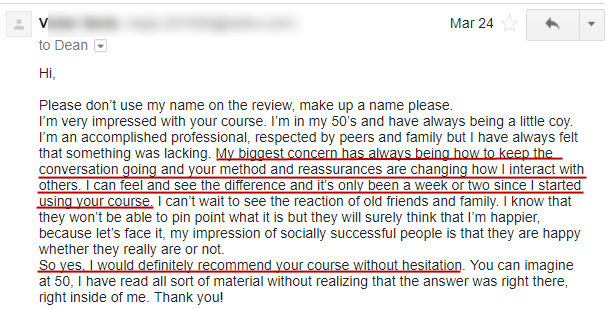 So I kept refining my strategy until finally I created my "wax on, wax off method" of simple social exercises. 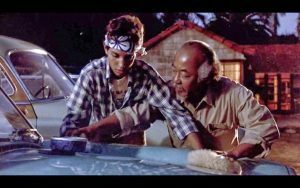 Because Mr. Miagi knew what he was doing when he told Daniel-son to wax on wax off his car. He was getting Daniel to repeatedly practice the basic movements of blocking strikes. So later, Daniel was surprised to find he could block strikes automatically. Almost without thinking about it. Mr. Miagi had Daniel practice many different skills like this, and because he focused on each individually, he mastered it and didn't get overwhelmed trying too much at once. So when he fought, all the skills effortlessly worked together to help him win. 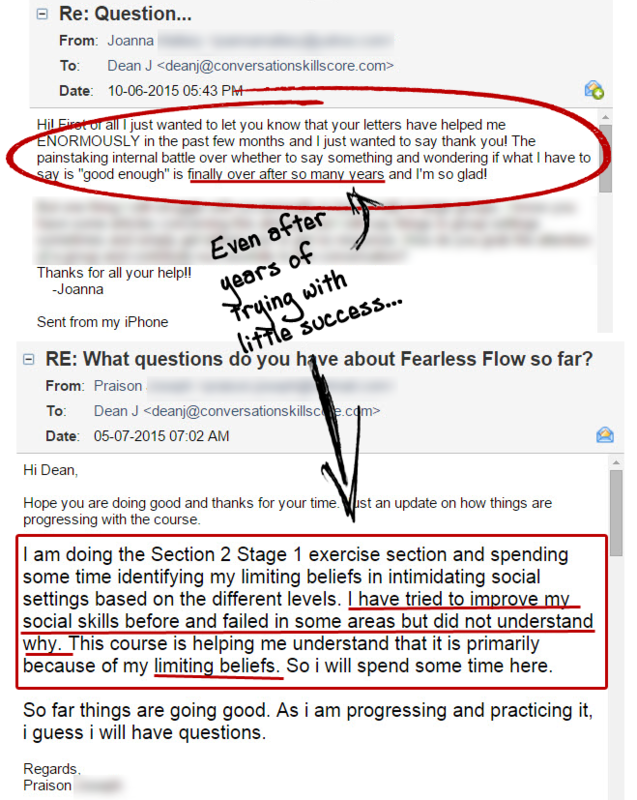 When you do the carefully designed, simple and actionable exercises in the Fearless Flow system, you'll automatically gain the high-impact skills and lasting confidence to talk to anyone. Without feeling overwhelming by too much at once and without needing to push too far too fast. "If I go over there and say hi, I won't know where to take things after." "Why is it no matter what I try…I ALWAYS seem to fall back into my awkward, nervous ways?" How come I do well with some people, in some places, but with certain intimidating people, it’s like my confidence evaporates and I'm back to square one?" Do you feel it's hard to connect with people, like they see you as nice maybe, but not worth being friends with? Or do you sometimes think poorly of yourself? That you're lame or un-likeable or that something is wrong with you? At least until I figured out what worked and shifted my focus. Once I did that, my charisma exploded... Giving me tons to talk about and the ability to quickly make friends. 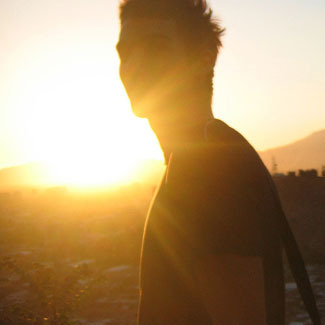 The kind who included me into their lives and actually wanted me around. And guess what? I'm going to show you how to do it too. 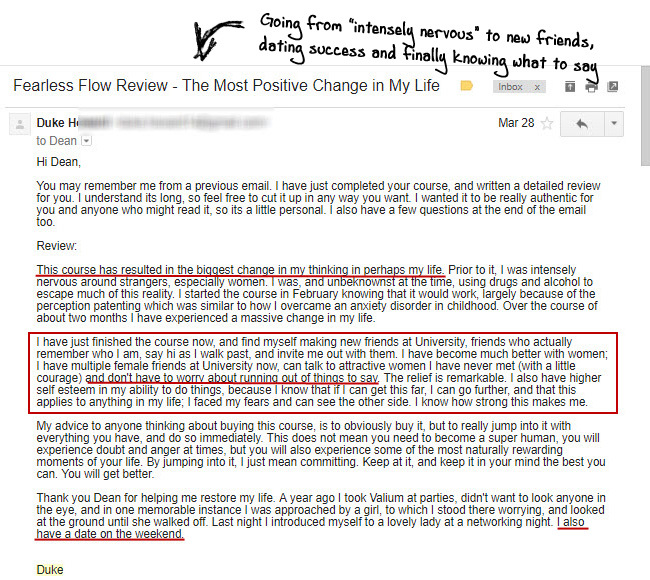 Using the proven methods in Fearless Flow. Why Should You Use A Proven System? REASON #1: No more wasted hours with trial and error. The system I will show you will grow your confidence and reveal what works when it comes to connecting. And once you've gone through the process, that charisma will always "be on", meaning you'll always be prepared for whatever social opportunities life hands you. REASON #2: More confidence and people skills means more great 1st impressions = more friends = more invites= more being included all around! 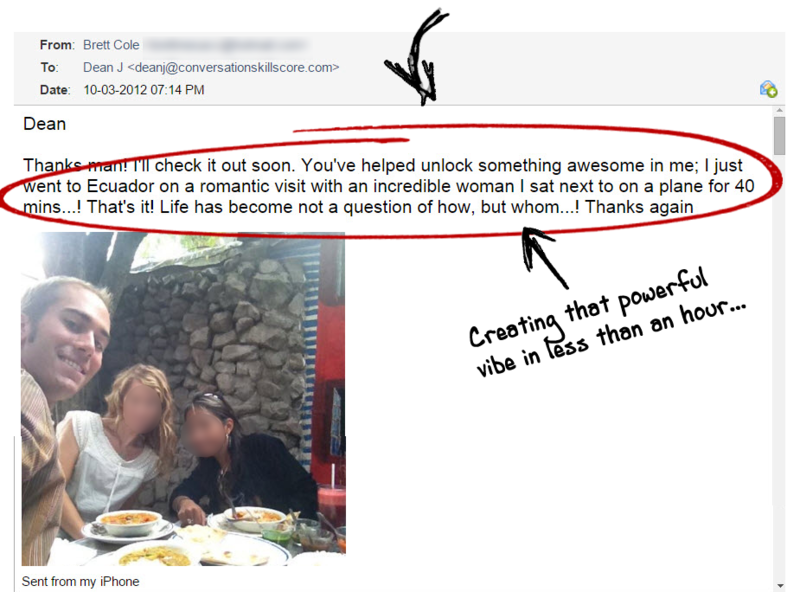 If you aim to build your social circle, or to stop missing out on your life, this system will get you there. REASON #3: You don’t need to already be confident or have a "rockstar" lifestyle. 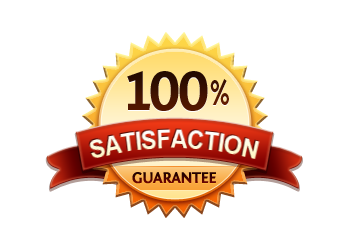 I will take you through everything step by step, in extreme detail, so you don’t have to worry about whether or not it will work for you. And it's the only exercise-based system that fixes the limiting beliefs causing your insecurities. And NEW to this launch ONLY I'm including an additional bonus: The Motivated Mindset guide. See one issue students have mentioned is that sometimes, they don't feel motivated to get out to be more social. And because of that, they feel their progress stalls. So I created this guide to help. The Motivated Mindset gives you a deceptively simple 15 minute exercise based on mind science. And it'll keep you laser focused on your goals so you achieve them as fast as possible. This is an exercise I learned from one of the greatest personal development coaches of all time. It's incredibly effective.